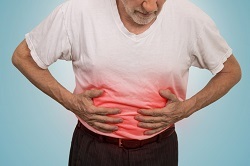 A new report has revealed the extent to which Irritable Bowel Syndrome (IBS) and Inflammatory Bowel Disease (IBD) are detected in the UK. The research questioned 1,000 IBS and IBD sufferers and found that 30% believe that their diagnosis was protracted with 44% of respondents reported that not receiving treatment quickly enough has had a negative impact on their quality of life. Irritable Bowel Syndrome (IBS) is a common illness affecting men and women of all ages in the UK and is thought to affect up to one in five people at some point in their life, although the number is believed to be higher due to people that are not currently diagnosed. IBS usually develops when a person is between 20 and 30 years of age. Around twice as many women are affected as men and there are currently 12 million sufferers throughout the UK. The research revealed that a third (33%) of sufferers had to visit their GP or medical professional more than five times to reach a final diagnosis. One in ten (11%) had to make over 10 GP visits to reach a diagnosis from the point of getting their first symptoms. One in 5 (19.5%) of those suffering from IBS said that making time for appointments had an impact on their work life. Due to creating increased stress, IBS is associated with increased levels of psychological distress resulting in poor coping strategies. IBS can have an impact on both social and professional lives, in fact, people who have irritable bowel syndrome are more likely to have workplace absences than those without the disorder. Because of the symptoms, 29% of those who have IBS have had to cancel plans with their friends or family. The research found that 42% of people said they would use an IBS home testing kit if it was available to them to save time and worry. The health industry has responded and a new home-testing kit is available so those who may be worried about possibly having IBS can eliminate the stress of a prolonged diagnosis and continual doctors’ appointments. IBSscreen is a test that can be performed at home to determine whether there is there is an inflammatory condition in the bowel. It takes about 10 minutes to show a result and is as accurate as tests conducted in the hospitals which check for the same protein. Alison Reid, CEO of The IBS Network explained the importance of testing. “Most people experience some uncomfortable gut symptoms at some point in their lives. However, for those living with IBS these symptoms are more.